When WaterAid UK started its campaign to increase funding for sanitation, it had one big obstacle: a low budget. Social media seemed to be a good, low-cost option, but digital campaign director Ross Bailey says there was another obstacle: WaterAid had just 726 fans on Facebook. That’s when he turned to a new option — Thunderclap. The campaign launched Oct. 22, 2012 leading up to Nov. 19, World Toilet Day. “On Facebook, we had 726 supporters. That’s not that many, but each of them that sent that message out on Facebook and on Twitter meant that a potential of 365,000 people could see that message on the day of release of the campaign,” Bailey adds. Forbes magazine reports that Thunderclap, designed by product development studio De-De — an offshoot of ad agency Droga5 — is a solution to the difficulty posed by the proliferation of Twitter. On that medium, all tweets carry equal weight; an important one might be easily list in the sea of chatter. Followers can authorize Thunderclap to tweet from their account once the support for the “clap” hits a certain level. 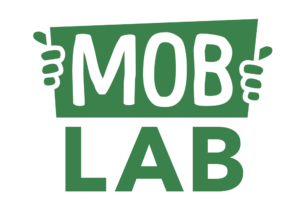 “The campaign culminates in an explosion of simultaneous tweets big enough to send a ripple across Twitter’s 140-million-strong user base,” says Andrew Essex, Droga5′s CEO. The other aspect to the WaterAid campaign was its reliance on images with overlaid text. 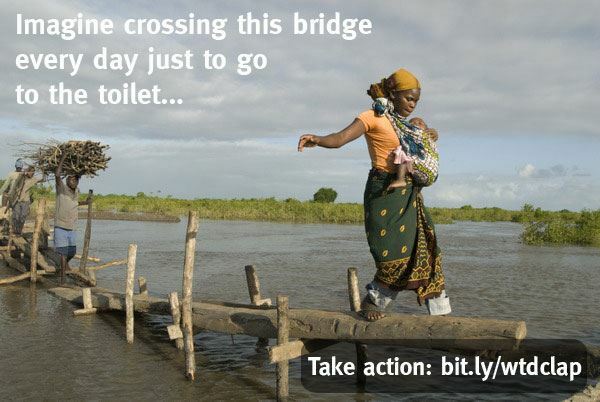 WaterAid used images with messages such as this one to engage its Facebook fans in the Thunderclap message by linking to it. Milimo Mwiinga lives in Zambia and doesn’t have access to a proper toilet. 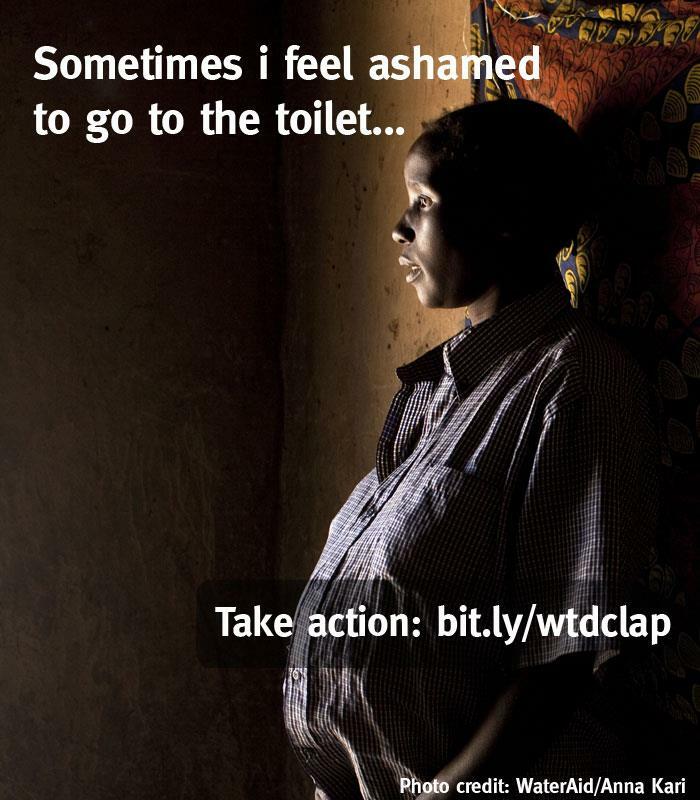 If you believe that no woman should have to go through this during pregnancy, share her photo and give us your voice this World Toilet Day:http://bit.ly/wtdclap — with Sohail Ansari. 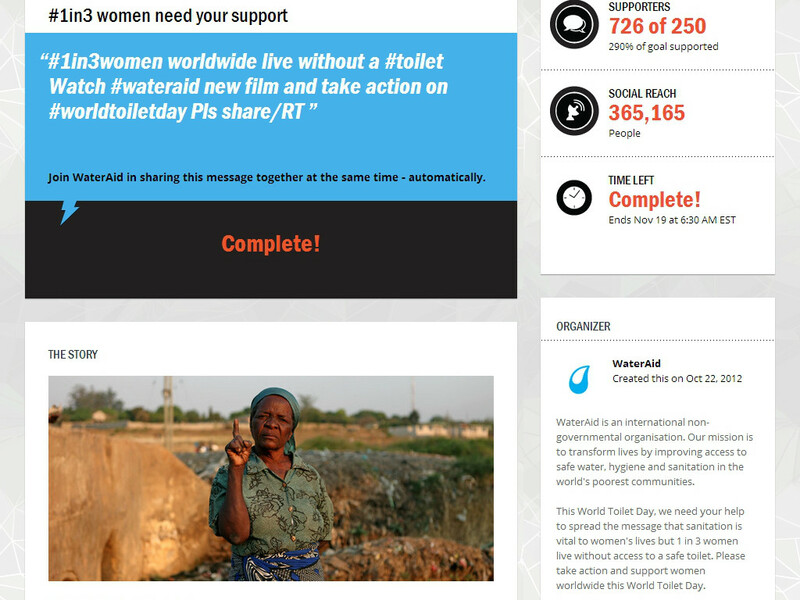 Thunderclap was an easy, low-cost tool for the 2012 WaterAid campaign for World Toilet Day. WaterAid UK engagement officer Rebecca Owen says part of the success of the WaterAid campaign was that it was focused. “We focused on toilets, not everything about sanitization,” she says. 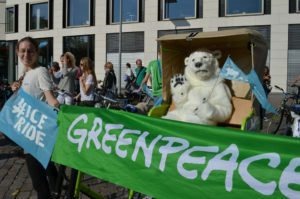 WaterAid kept the pledge action simple, and aiming for 15,000 hits to the campaign page, reported instead 32,000, about 7,000 of which came from direct e-mails to supporters. “The rest were from social media,” she says. Facebook images with text proved to engage more people than images with no text.